« I’m done. Let’s go home. “What’s a kegerator?” lady asks. 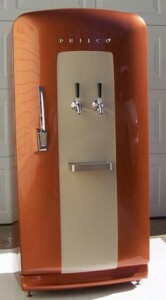 “It’s a refrigerator for a keg,” he responds.